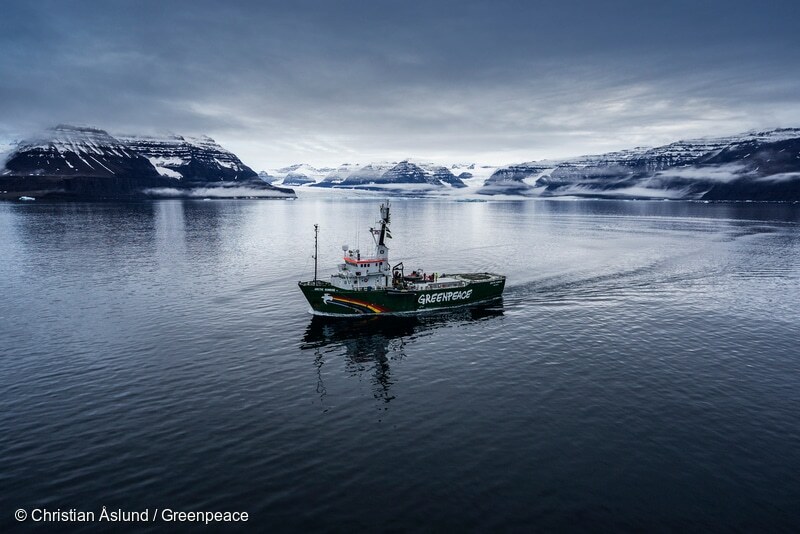 Where Does Greenpeace Stand on Seal Hunting? Late last year, I was interviewed about Greenpeace’s position on seal hunting by the American news channel MSNBC. I think it’s important to clarify where we stand on this important subject. Greenpeace is completely against the commercial hunting of seals for profit. We always will be. But the large-scale, commercial hunt is a world away from the traditional practices of Indigenous Peoples in the Arctic. In fact, Indigenous communities have shown time and again that they understand how to protect the Arctic ecosystem they call home, and their hunting practices have never been a threat to seal or whale populations. They do not hunt seal pups, and their hunt is conducted with respect for the animal. They hunt because it is a crucial way to sustain themselves and their families in the harsh Arctic environment. We respect their right to continue this tradition. I’ve visited many communities in the Arctic over the last decade and have seen both how Indigenous Peoples conduct the hunt and how extremely important it is for them. It is not just a matter of culture, it is a matter of survival. Many Indigenous communities in the far north rely on seal products for food, warmth and clothing. They sell some of these products so they can sustain their livelihoods and keep their families alive through the harsh Arctic winter. On the other hand, the Canadian Government continues to allow the killing of upwards of half a million seal pups a year. This Government has a long history of sacrificing the health of our oceans for the short-term interests of the fishing and sealing industry. This is why we started our sealing campaign in the 1970s — and why we still oppose the commercial hunt. But when Greenpeace and others campaigned against the seal hunt in the 1970s and 1980s, we didn’t adequately distinguish between the inhumane and cruel industrial hunt and the traditional one. The results were devastating to many Arctic Indigenous communities. Hunting and fishing in this harsh landscape is, for many, their only means of survival. Greenpeace is campaigning to protect marine mammals across the world — including critically endangered species like the vaquita, Maui’s dolphin, and Okinawa dugong. We’re also tackling some of the huge global issues that affect their survival, like overfishing, ocean pollution and acidification. We will never stop campaigning for healthy, clean oceans, or supporting the rights of Indigenous Peoples everywhere. I’m hugely grateful to all of our supporters who continue to make this work possible.